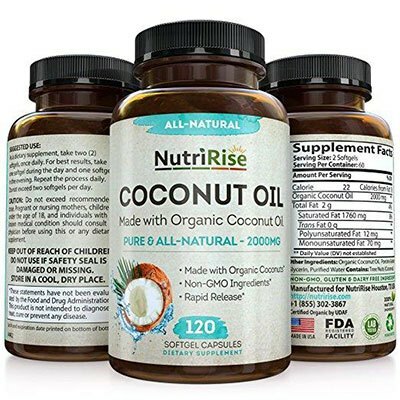 Top 5 Coconut Oil Capsules of 2019: Do NOT Buy Before Reading This! Home » Review » Supplements » Which Is the Best Coconut Oil Capsules for Weight Loss? If you read our previous article, you probably have learned about how good coconut oil is for your health, and how the science is showing its benefits for weight loss. Since we now know it’s a good idea to use coconut oil for weight loss, then we probably want to make sure that we buy the best coconut oil capsules possible. This article will provide you with a few surprising facts about how to recognize good coconut oil. After that, I’ll review some of the more well known products on the market. How to Know if Coconut Oil Really VCO? Which Coconut Oil Capsules Would I Recommend? Just some fair warning, I’m not very complimentary about some of these products, not because I think the oils are bad, but because of some of the extraneous marketing related to some of them. There are so many products out there, that it is difficult to decide what you should buy. The number one rule is to read the label. You do not want oil that was refined using any kind of solvents. Nor do you want oil produced using high heat, because that can lead to the oil becoming hydrogenated, which is bad. My number two rule is that if the label doesn’t specify something, assume the worst. So, for example, if it doesn’t say that no solvents were used, perhaps you should wonder. Good qualities are usually advertised. For our purposes here I'll add a third rule, which is that labels can also be full of unrelated rubbish. So, for example, why would a label on a bottle of coconut oil say that it is dairy and gluten free? Am I the only one who finds this insulting to my understanding of basic food groups? It’s difficult enough to understand what the labels are saying without complicating them with useless information! If it is not certified "USDA Organic" it probably isn’t genuinely organic. However, there are no known GMO versions of coconuts, so having products certified as organic may seem like an unnecessary expense to the producer. 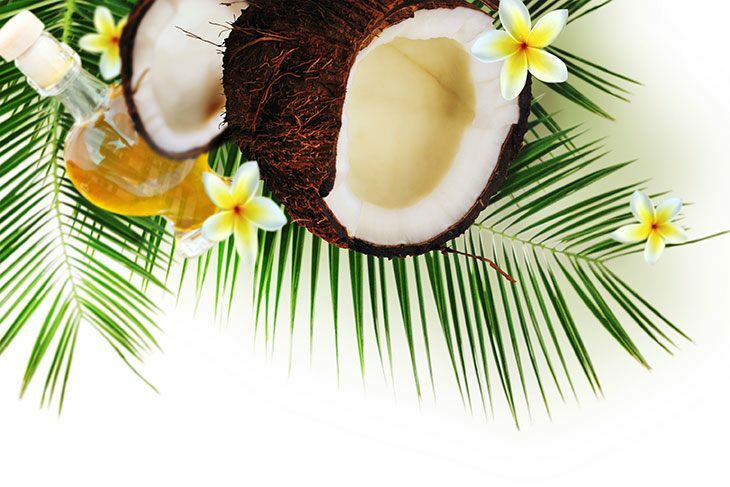 All coconut oils are refined to an extent – the oil must be extracted from the coconut. The least refined (often called "unrefined" or "raw") is virgin coconut oil (VCO). More refined oils (RBD = refined, bleached, deodorized) have less coconut smell and taste and sometimes have a higher smoke point, so are good for cooking. Most are expeller-pressed: This is a mechanical process, and does not necessarily include chemicals or solvents. What makes a coconut oil "virgin" is when it is made from fresh coconut and not "copra" (dried coconut removed from the shell, and inedible without further refining). Virgin vs extra virgin. There is no technical difference between virgin and extra–virgin, as there is for olive oil. This is just a misleading marketing ploy. Virgin(VCO) vs ordinary coconut oil: Copra is transported all around the world and is the basis for most commercial brands of coconut oil. While commercial (usually RBD) coconut oil may not be bad for you, it does not have the high antioxidant levels found in VCO. It also doesn't have the same ability to manage lipid levels in your blood that virgin coconut oil possesses. Virgin coconut oil is especially good for managing cholesterol. Unfortunately, there is no international body that certifies oil as "virgin" so anyone can use it on their label, even if the base is copra. Pressed: The oil is pressed from coconut flakes that have been dried at low temperature. This oil retains the goodness of raw coconut. 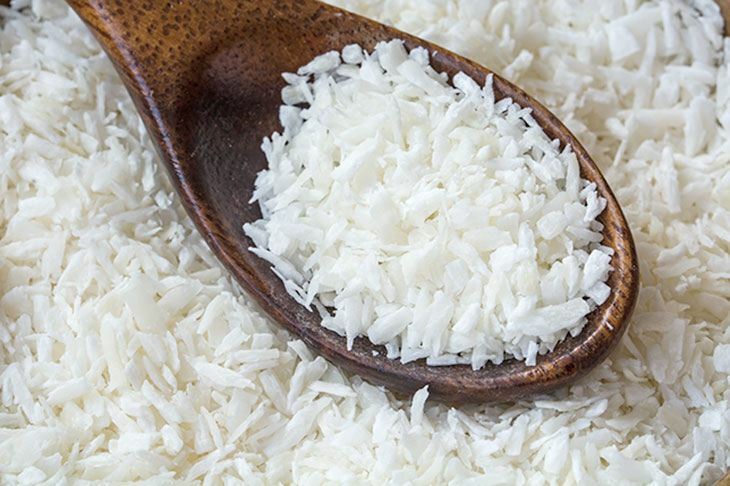 Wet-milling: Oil is extracted from fresh coconut milk, that has been allowed to ferment overnight, then heated to separate the oil from the water. This is the most traditional form of oil extraction. It also retains all the goodness of raw coconut and is usually the most expensive. Surprisingly, when heat is added to the process, the level of anti-oxidants in the oil increases. So, oil extracted via wet-milling, but marketed as "no heat", "cold-pressed" or "raw" may have lower levels of anti-oxidants. MCT Oil or "Liquid Coconut Oil"
This is also called fractionated coconut oil. MCT oil is coconut oil with the lauric acid removed. It may stay liquid, even in the fridge, but it is a highly-refined product and has had lauric acid, a primary ingredient of coconut oil removed. Lauric acid has many health benefits and is associated with control of blood pressure and oxidative stress. It also helps with the control of lipid levels (cholesterol) in the blood. This oil has been treated with heat to increase the shelf life of baked goods and candies. It contains trans-fats and you will probably want to avoid it. The most surprising finding for me is that most coconut oils will be healthy as long as they are not extracted using solvents, excessive heat or are hydrogenated. To buy the very best oil, you probably want to ensure that it is really VCO. Wet-milling with some heat will give the highest levels of anti-oxidants. Switch away from other types of oil for cooking, salads, etc and replace them with coconut oil. Start with a small amount (about a teaspoon) per day, until your body adjusts to higher levels, then between 2 and 3 tablespoons a day seems to be adequate. Take the oil about 20 minutes before a meal, so that you increase levels of satiety, reduce hunger and eat less. If you don’t like the taste of the oil, try a capsule or softgel. Coconut oil is not a miracle bullet for weight loss. Combine it with exercise and healthy eating. There are hundreds of brands on the market and I must honestly say that, especially if they are genuinely VCO, there is very little to distinguish one from another. All the brands are trying to somehow set themselves apart as the best. At the end of the day all you can really do is try to establish how reputable the manufacturer is, how reliable the supply is and whether they honor their money-back guarantees if you are unsatisfied. I’ve taken a good look at a few brands. I haven’t tested them for taste or color, so can’t comment on that level. However, I tried to work through the marketing hype to find out what, if anything, made one brand stand out from another. 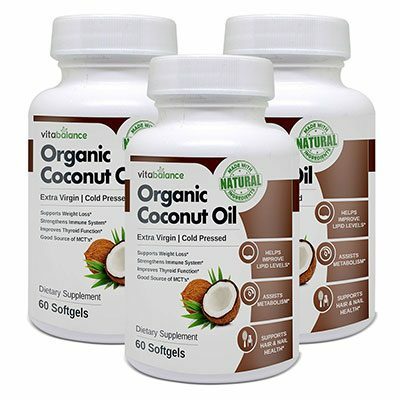 I took a close look at a relatively new brand on the market called VitaBalance Organic Coconut Oil. It is advertised primarily as a natural weight loss dietary supplement and promises to strip excess pounds and burn belly fat. The product is aimed at anyone above the age of 18 who wants to get rid of stubborn body fat and make a healthy lifestyle change. This includes men and women, students, athletes, and business people. 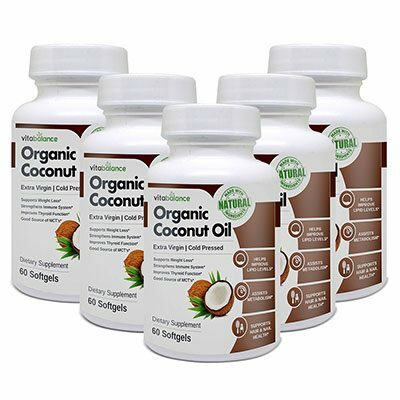 The product is 100% pure and organic coconut oil, extracted without heat or chemicals. The focus in the marketing is on the benefits of lauric acid and MCTs (medium chain triglycerides). As a pure VCO, the product can claim the health benefits that we’ve outlined earlier, including assisting metabolism, increasing energy, improving lipid levels, supporting skin and hair health, strengthening the immune system, improving thyroid function, balancing cholesterol levels. In addition, it also claims that it will assist in weight loss through boosting metabolism, reducing appetite, burning calories while you rest, and getting rid of dangerous abdominal fat. Some testimonies are provided from those who report quick results, with less bloating, more energy and feeling generally lighter. Two softgels are recommended per day. These should be taken in morning and evening, preferably with meals. What I really liked about the marketing of this brand was that they provided reasonable research links to back up their claims. They also give very useful information on their labels and on the website. Because of this, I’ve given them my No 1 ranking. If this is a virgin coconut oil, it is probably a good product. Some excellent marketing information is directed at the target market. Seems to be a good quality VCO. Marketing claims are specific rather than vague comparisons. 100% satisfaction guarantee that you will feel healthier or your money back. Why is it necessary to say that the product is gluten and dairy-free? Seems to be a good quality VCO. All claims seem genuine. Product has full, no questions asked, money back guarantee, even for an empty bottle. Seems to be a good quality VCO. I would check the claim about added amino acids, unless something is being added that we are not being told about on the label. Seems to be a good quality VCO however, the claims for Vitamin E and protein content may be questionable. I'm also not sure why they recommend 3000mg per day. Supplement facts seem incorrect. No size given on bottle. Seems to be 60 x 1000mg softgels. Better source of MCTs and MCFAs than refined or fractionated coconut oil. Support for weight loss through improving metabolism and reducing appetite. "Naturally free" of cholesterol, gluten, trans-fat, hydrogenated fats. Lists all the fatty acids typically found in coconut oil. "Rich natural source of Vit E" and some protein. Fresh coconut has vitamins, minerals and a small amount of protein (3,3%), According to the USDA database, there is zero protein in coconut oil. While there may be traces of Vitamin E, it is not a rich source. Supplement facts indicate that a serving (3000mg) has 10 calories, 1g of total fat and <1g of protein. Perhaps this should be per 1000mg? If you’re sometimes cynical and wonder how true the "testimonies" are for some products, check out the Fakespot information site It will tell you how genuine the reviews seem to be. For my list, there were no Fakespot assessments for the VitaBalance product. The Zenvita and Precision Naturals products had many good reviews and they seemed to be genuine. In conclusion, the good news is that most coconut oil capsules are actually good for you. 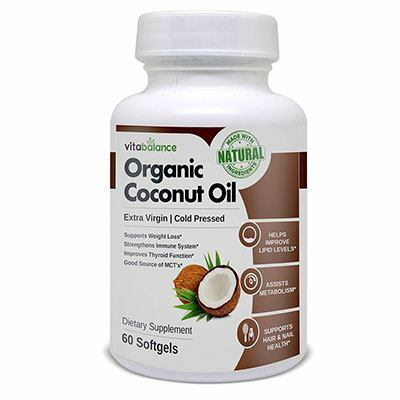 The best coconut oil for weight loss is made from VCO and not from copra and it must not be excessively refined. So, find one that you like and feel good about that is also convenient to buy, and enjoy the benefits. I hope that you will try some of the coconut oil capsules I’ve reviewed and that you’ll let me know how much weight you have lost and how full of energy you feel!